Why should I convert my Audible audiobooks? 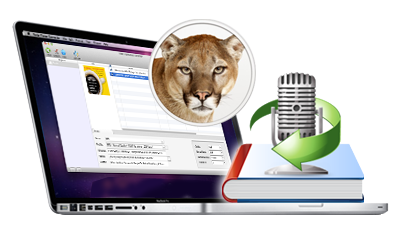 Audible AudioBook Converter for Mac removes DRM protection and converts Audible audiobooks to MP3 or AAC, so your Audible audiobook can play anywhere. Why is my iTunes silent while converting? That’s because Audible AudioBook Converter for Mac needs iTunes to play your Audible audiobooks background, and you’d better not operate it. Will the Audible audio book ID tags be saved to the DRM-removed audiobooks? Yes, ID tags of the Audible audiobook will be preserved in the MP3 and M4A output files. Will the converted Audible audiobooks divided by chapters as the original ones? Yes, chapters will be saved if you choose to convert to M4A. Audible AudioBook Converter cannot obtain my Audible audio books, why? That may be because the iTunes Library.xml file is not in the default location. Click “Library” button on the interface to find it. How to add Audible audio books to this Converter? You cannot add audiobooks to this AudioBook Converter directly, if you have audio books that are not in your iTunes library, you should add them to iTunes first and then click “Fresh” button. That’s because you didn’t uncheck the completed Audible audio books after the last conversion. Click “Options” button and choose “Uncheck all completed files after conversion”.